TOP: Mauna Loa weekly earthquake rates between 2010 and September 17, 2015. Blue bars indicate the number of earthquakes that were located by the USGS Hawaiian Volcano Observatory seismic network. Earthquakes of all magnitudes are plotted. Subtle increases in earthquake rates started in mid-2013, while more obvious changes in rates started in 2014. 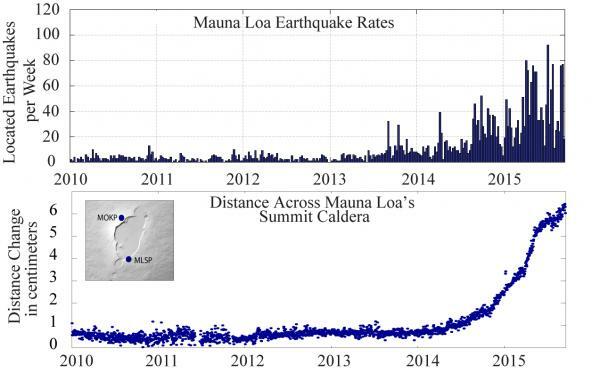 BOTTOM: Change in distance across Mauna Loa’s summit caldera between 2010 and September 17, 2015. Blue dots indicate the relative distance between two stations that span the summit caldera of Mauna Loa, shown in the map on the upper left. Sustained extension across the caldera started in mid-2014. This extension is one of the indicators of magma infilling a complex reservoir system beneath the summit and upper Southwest Rift Zone. 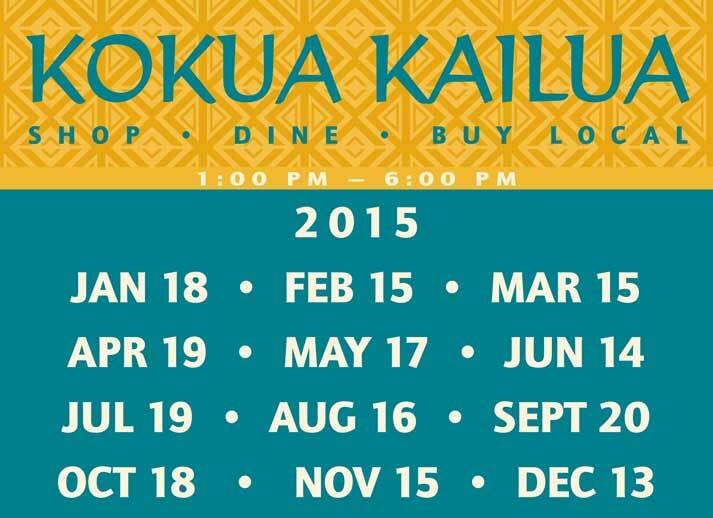 *Stroll Kailua Village and enjoy Musicians, Artists, Merchants, and Restaurants. 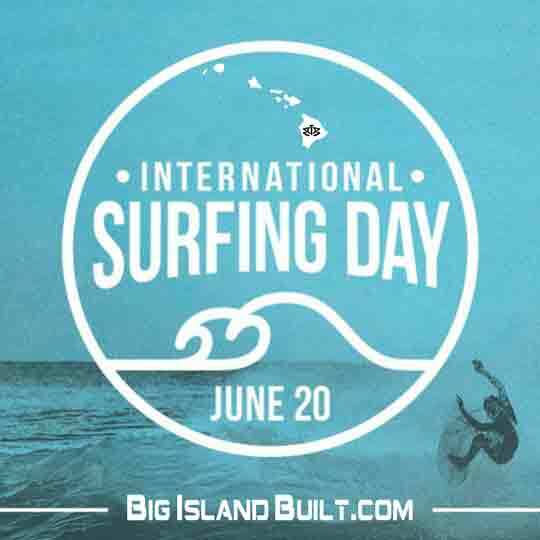 *AN AFTERNOON AT HULIHEE PALACE BEGINS AT 4:00 p.m.
2015 Internationa Surfing Day is Here! Here are but a few of the better-known ISD ragers going off on June 20th. There are currently over 80 events taking place on Mainland U.S. soil alone. -Huntington Beach, CA: An attempt to break the World Record for riding the largest surfboard, beach-wide cleanup, live music and giveaways. -Long Beach Island, NJ: Live music and movie screenings at the original Ron Jon Surf Shop punctuating a weeklong beach sweep. -San Diego, CA: Free outdoor movie screening of 5 Summer Stories at Veteran's Plaza in Ocean Beach; plus games, raffle prizes, pizza and popcorn. Also, “Why I love the ocean!” video contest entries shown. -San Clemente, CA: O’Neill beach cleanup at San Clemente Pier followed by a surf session. Content is King. Its simple, true and the most important thing in today's blogoshere whether one is in New York City or here on the Big Island of Hawaii. In the world of copy and paste, immediate gratification and 140 character messages, content still drives the basis for successful blogs. With the advent of semantic search and Google's vast information depository, Search Engines (Google, Bing, Yahoo) are adapting to what humans want, how we want it and what we think is useful. To stay in the forefront of where SEO is going is simple...Write for your audience not a computer. Each year The Kailua-Kona Community Parade Association Committee hosts the much anticipated 4th of July parade in Kailua-Kona, Hawaii drawing thousands of spectators. This year's 20th Annual Kailua-Kona Community Independence Day Parade, themed "Celebrate Freedom!" will be held on Saturday, July 4th, 2015. Parade festivities will begin promptly at 6:00PM and will feature various organizations, businesses, officials, committee members and more. Parade entrants will take the traditional route from Kuakini Highway to Palani Drive, onto Ali'i Drive. Live announcer stations will include West Hawaii Today; Big Daddy's; Marriott King Kamehameha's Kona Beach Hotel; Banyan Court; Pancho & Lefty's Mexican Cantina; Hale Halawai; Island Lava Java and Humpy's Big Island Alehouse. 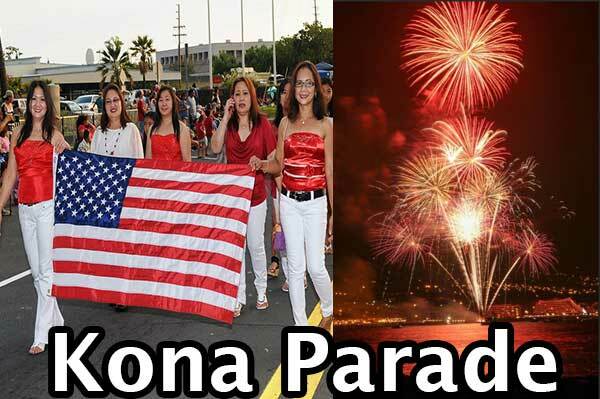 The parade is expected to complete at 7:45PM and will be followed by the Kailua-Kona 4th of July Fireworks Extravaganza at 8PM to commence over Kailua Bay.